Clump-forming bulbous plant, native to South Africa. Long, strap-like, mid green leaves to about 50 cm long. Foliage emerges in autumn and dies back in late spring. Mildly scented, 10 cm long, trumpet-shaped, pink flowers appear in late summer in heads of 2-12 on 30-60 cm long purplish red stems. The common name 'naked lady' refers to the fact that the plant flowers while the foliage is dormant. 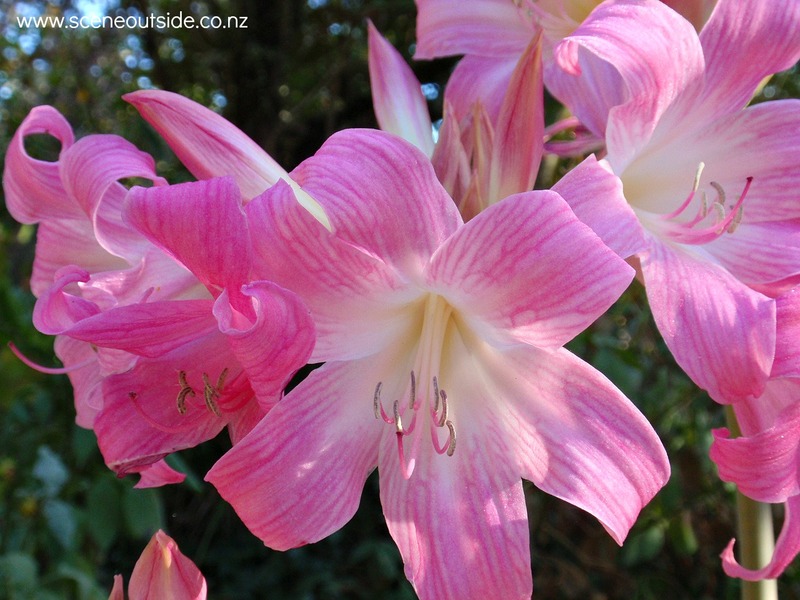 Amaryllis belladonna is poisonous, and the sap and bulbs may cause skin irritations. Prefers a sunny or partially shaded position in almost any well-draining soil. Tolerates considerable dryness, in particular when the foliage has died back. Leaves can handle quite a bit of wind, but flower stems get damaged by strong winds, so a sheltered spot where the flower stems don't get blown about, is best for a good display. 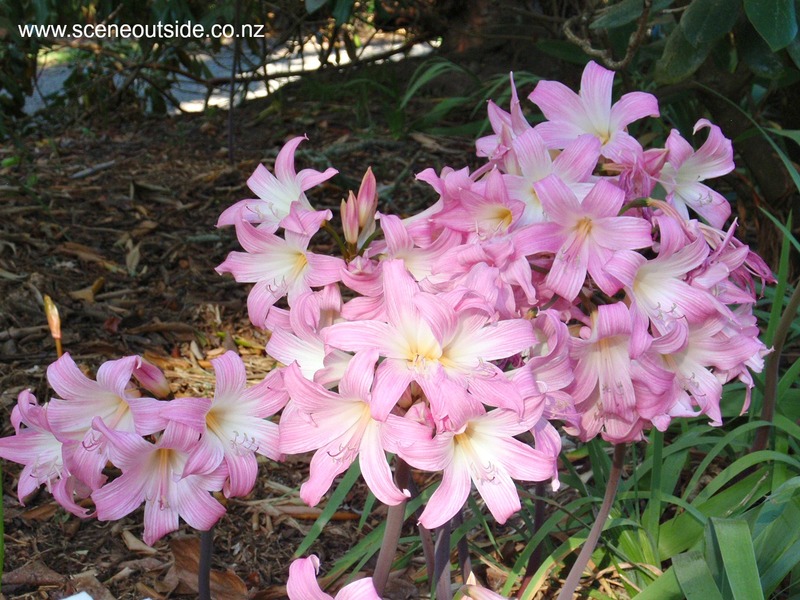 Amaryllis belladonna likes to be left undisturbed, but clumps of bulbs can be divided. Individual bulbs should be planted with their necks at or just above (not below) soil level. 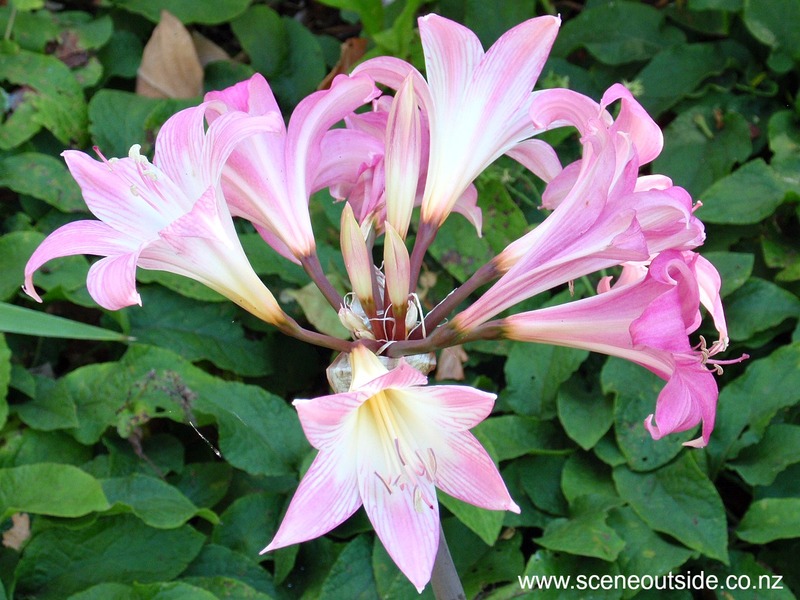 Tolerates moderate frosts to about -80 C.
Amaryllis belladonna is easy to grow and reliably produces a magnificent display of flowers from late summer onwards. Suitable for rock gardens, containers, under large deciduous trees, coastal gardens and borders. Flowers last well on water.